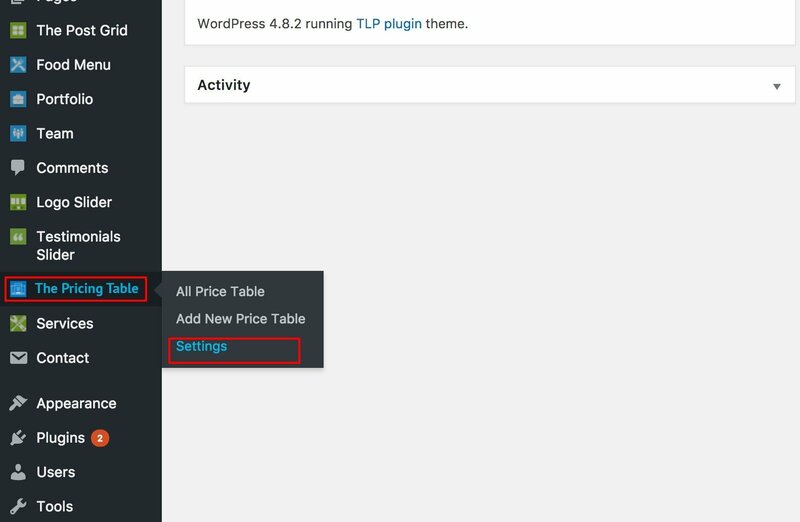 Please check step by step instruction how to setup The Pricing Table for WordPress. First Download the zip file then go Plugins=>Add New then select the zip file and upload. 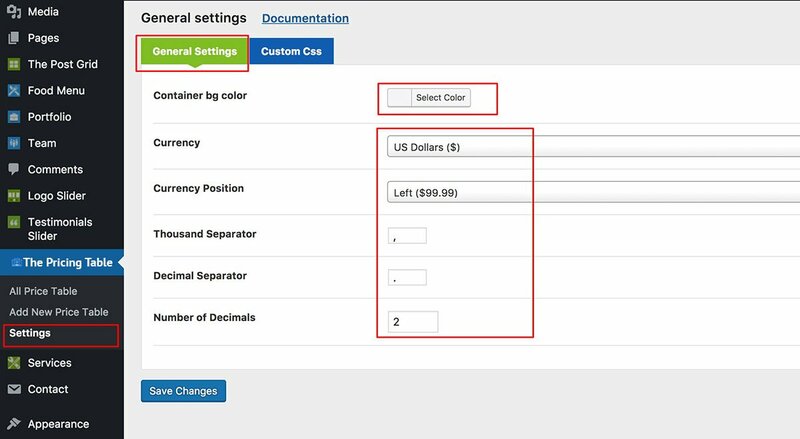 Set container background color and currency settings. 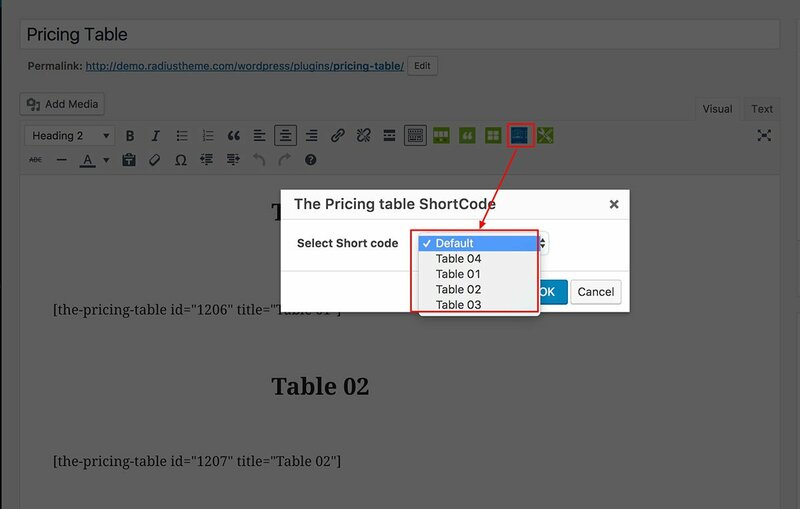 2nd Tab (Custom CSS): for custom css editor you can write own custom css here. 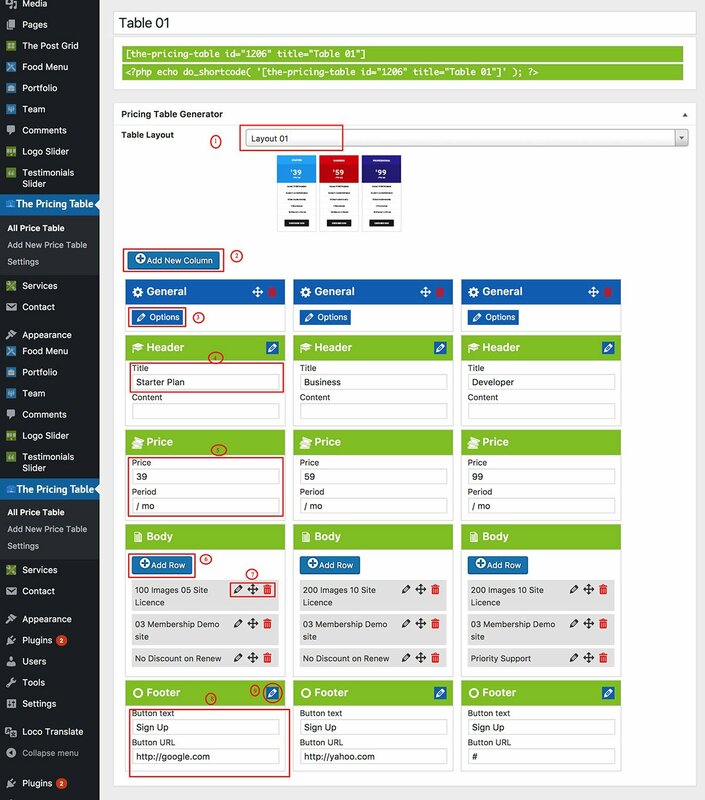 2.1) Table Layout: Select which layout you want.